Thanks are due to many on alt.home.repair for this consolidation of suggestions. If the screw head sticks up enough you may be able to grab it with a pair of ViseGrip pliers and unscrew it. Caution: Consider the implications of the following suggestions before trying them. For example, hitting a screw in a ceramic object like a toilet bowl can break or damage the object. Heat can harm a variety of materials. Now insert the correct size screwdriver and hit it a couple of times with a hammer. You are trying to break the screw loose from is surrounding metal. Now see if it will unscrew. If not, try striking the screwdriver again, this time while pressing and turning. If it's a through bolt with a nut, hitting the head won't help. You will have to hit the bolt where it sticks through the nut. In this case, take care not to foul the threads. If you can safely heat it without damaging the nearby area, or setting something on fire, get the screw hot. Try a butane pencil torch (not so hot you remove the temper) or soldering iron, etc. If you have nothing else try the tip of an empty hot glue gun or a heat gun. The more you can heat the screw without heating the area around it the better--you're hoping the screw will expand more or faster than the area around it and this will break it loose. Heat is much more likely to work but, if you're reluctant to use heat, try ice--better yet, dry ice. A temperature difference is the trick. Heat/chill the nut on a through bolt. After it's cooled (penetrating oils are flammable) go back and start at step one above. In a case like a screw in a electrical cover plate that's been painted over, you probably just want to break away the plate and remove the screw with pliers. If none of this works the next thing to try is a gadget called an impact screwdriver if you can beg, borrow, or want to buy one. This won't work for a through bolt. 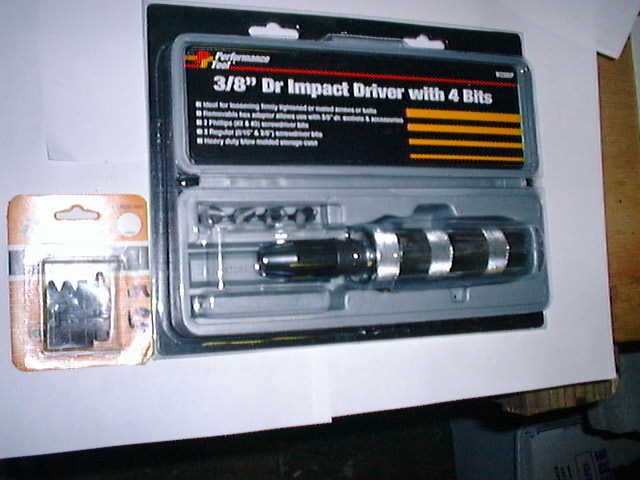 An impact screwdriver is designed to rotate the screwdriver tip when the handle is hit with a hammer. So, the tip is forced into the screw head by the hammer blow at the same time the tip is being rotated to loosen the screw. If you have a motorcyclist friend she may have one. If the screw is in cast iron, or something else you could break by hitting it, you may not want to use this. I've never tried this but it may work. It called Screw Grab. screw you may want to try a nut cracker. A gadget that splits the nut into. Your last resorts are destructive and it's hard to advise you what to try first. There are downsides to all the destructive approaches, because they can make other methods impossible. There are screw extractors. A new design that I've begun reading good things about is called Grabit® Damaged Screw Remover. The traditional screw extractors are called Easy Outs, based on an early brand name. They are like sharp pointed screws with backwards (left hand) threads so they tighten in the direction the screw loosens. You drill a small hole in the screw-head and then start screwing the Easy Out into this hole. When it gets tight in the screw-head (remember you're turning it backwards--counterclockwise) the screw starts unscrewing. When Easy Outs work they're really great, but occasionally they break and leave you worse off because it leaves a piece of hardened steel in the screw which you may not be able to drill out. David Moses <u-techvideo@earthlink.net> says, "I'm a retired appliance Tech. To remove a frozen screw that nothing else will handle, try this: Use a chisel and a hammer. Catch the screw on the rim and make a grove with the chisel. Keep hitting it counter clockwise to force screw to turn out. If it's a through bolt you will have to hold the nut somehow." Dan Hicks again -- "Maybe you can grind the head off with a Dremel tool. After you remove the object it was holding, maybe there'll be enough screw exposed you can get ViceGrips on it." "I got a set of left hand drills from the Snap-on guy for just this problem. They help the cause... Just gotta remember to reverse the drill first!" Go to the hardware store, and get a cheap screwdriver that is the right size, and a tube of SuperGlue. At home, clean out the head of the screw as well as possible, and SuperGlue the screwdriver into the screw head. You should be able to remove the screw. Nail polish remover will (eventually - may take a few hours) dissolve the SuperGlue if you need the screw back. Note that this works best *before* you destroy the screw head. It'll work on a damaged screw, but not as well. The last time I had this problem I drilled through the screw head and then broke it off. Start by drilling a little way (1/2"?) into the center of the head with a small bit (3/32"-1/8") to create a pilot/guide hole. Then drill down the guide hole with a larger bit (3/16"?) until you get through the head, and just barely into the screw body. Keep redrilling, increasing the drill size until you reach the bolt diameter. If the screw starts to turn with the drill bit, have someone hold the nut on the bottom with a pair of pliers. The bottom nut may be a wing nut. Now try to get something like a screwdriver or strong knife blade under the edge of the screw head and pry up on it. If your hole is large and deep enough it will break off easily. The rest of the bolt should fall out or you can remove it from underneath. In one case I had the bolt broke off and fell to the floor when I was drilling. This worked because these bolts are soft metal (brass?). A new seat comes with a nut/bolt set. Another possibility Is to cut the heads off with a hacksaw. Slide the blade in between the seat and the bowl. This can scar the porcelain. Some say they do this with a reciprocating saw (Sawzall), but I wouldn't have the courage -- I'm sure I'd ruin the toilet. Another suggestion is to use the nut cracker mentioned earlier in this article. Dan Hicks <danhicks@ieee.org> suggests using a Dremel tool with a small metal cutting wheel to cut the nut in half.